2015 weddings are filled with fun trends that share the spirit of the couple using personalized details that engage the senses. Guest Interaction Couples want to give their guests a memorable occasion and an engaging social atmosphere. Food trucks will still be popular, not just for dinner but also desserts and food bites. Local beers and wines will be popular along with bourbon cocktails and specialized bars. Wild West style is taking the focus away from barns with leather, antlers and ranches. Boho relaxed, informal events with picnic style events, hand drawn maps and a 70's feel. Floral Greenery is still very popular with swags and herbs, but larger hedges and pieces are gaining popularity. Large installations such as hanging centerpieces and floral chandeliers are now trending on blogs across the country. Unstructured centerpieces and arrangements are being used. Loose, cascading bouquets and flowing ribbons are the top choice for brides. Tip: Engage the senses by using fresh fruit or a signature scent. Color and Design Copper will be joining metallics along with glitter and sparkle. While soft, muted colors are still popular, watercolors are being added. Couples are using one accent color to add a pop of personality or color blocking with bold, jewel tones. Mixing patterns and textures adds depth and visual appeal. Stationery Stunning invitations that give guests a taste of the event to come are part of a larger trend. 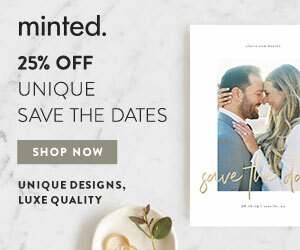 Couples are creating a "brand" for their event with fonts, icons and styles. Sweets Textures and design are very popular with metallics and patterns on wedding cakes, as well as incorporating lots of color. Watercolor designs are creating works of edible art. Dessert bars with mini bites are popular serving doughnuts, ice cream, pies and other sweets. Attire For brides, they are choosing a unique second dresses such as pantsuits. Grooms are following the mismatched trend by coordinating a mix match look for their groomsmen. Great Locations In addition to remodeled warehouses and historic buildings, couples are including lofts, restaurants, galleries and unique venues to their list. They want places that feel fresh and unconventional.